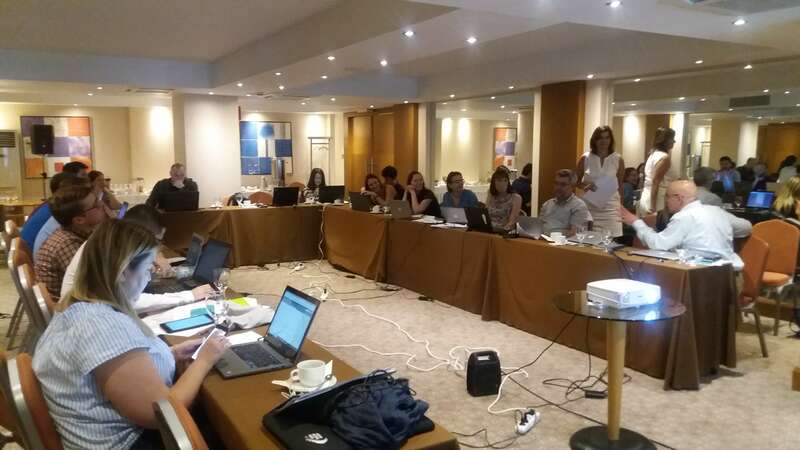 On 19-21 September, 2018, the BigO consortium partners gathered in Athens. The focus of the meeting was to evaluate the results of the first phase of data collection at the schools (EA, EKP, IEGS) and clinics (BRFAA, Mando, TSCUH) and discuss the plans for the next phase of data. Version 2 of the myBigO app was introduced to all partners for the next phase of data collection. New in this version are, amongst others, the ability for non-organized users to register themselves as citizen scientists and availability of the app for iOS, lower battery consumption of the smartwatch and the visibility of more data on the different user portals.